Don't let the age fool you. This 1977 manufactured home was well cared for. 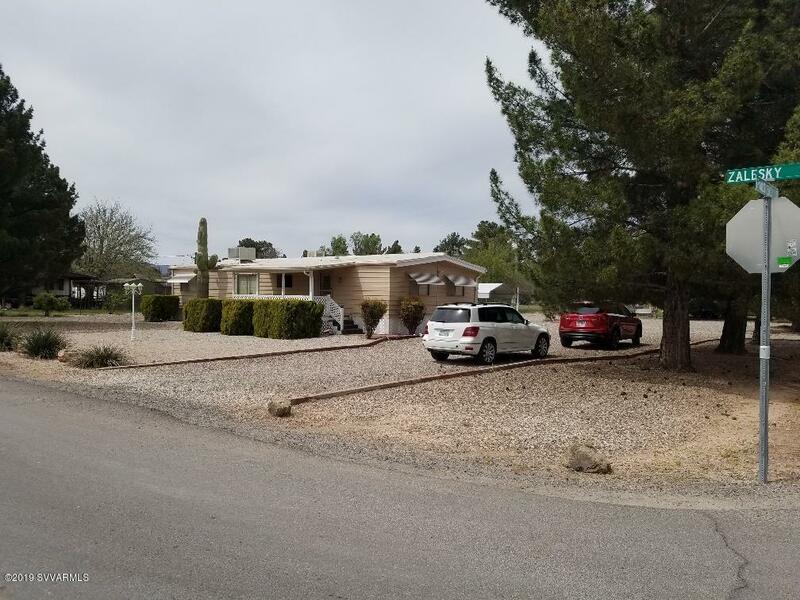 It is situated on a level corner lot of approximately 1/2 acre with plenty of trees and mountain views. There's plenty of room to park your toys and motorhome. There are sheds for storage and a small workshop area. Enjoy the views from the front porch off the living room. Inside you'll find two bedrooms, 2 baths, large living room, spacious kitchen and dining. There is a bonus room off the master suite of 150 sq ft that is not included in the total square footage. Central air, evaporative cooling, forced gas heat and laminate flooring through out are a few of the amenities that this home offers. Property does have its own well. This is an estate sale and home is being sold in its current condition.